More than a fifth of the people who call the vast Big Bend region of West Texas home are 65 or older, according to census data from 2016. And many of them, at one point or another, will have to leave — to seek healthcare. 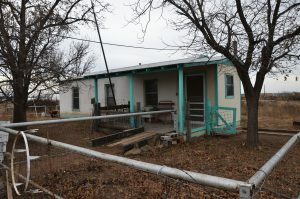 Marfa resident Suzanne Dungan says as she loses more and more friends and relatives in the area, it makes her sad to realize that many aren’t getting the help they need at the end of their lives. 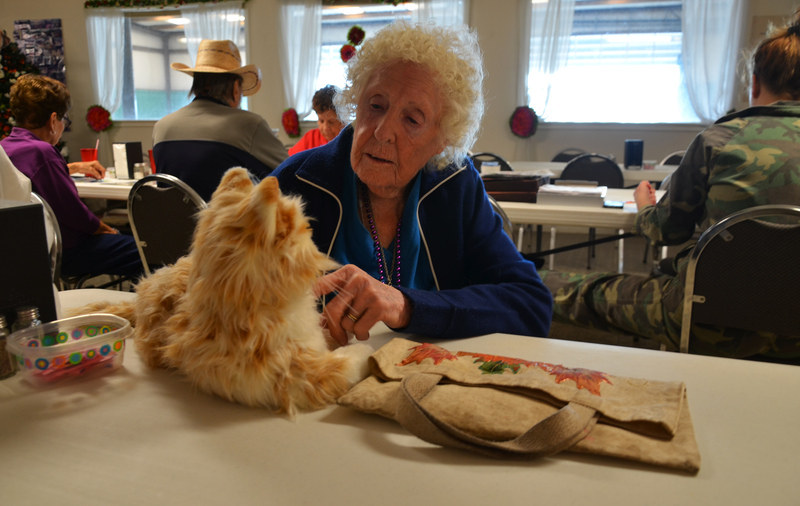 Dungan lost her husband in January of 2018, after a battle with dementia and prostate cancer. And they traveled almost 500 miles away to give him a comfortable end of life. So she asked West Texas Wonders — why don’t we? The short answer is money. But for the long answer, we begin with Joy Elliot Rawls. Who does get to spend their final years in the Big Bend? Joy very well might, if she has anything to do with it. 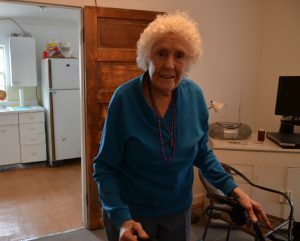 She’s spent pretty much her whole life roaming around the most remote corners of the region — since she was born, in 1927. She used to run cattle, and trap animals. They made the best coats, she says. She also caught foxes and skunks, and sold their pelts to fur traders to make money until she was in her seventies. 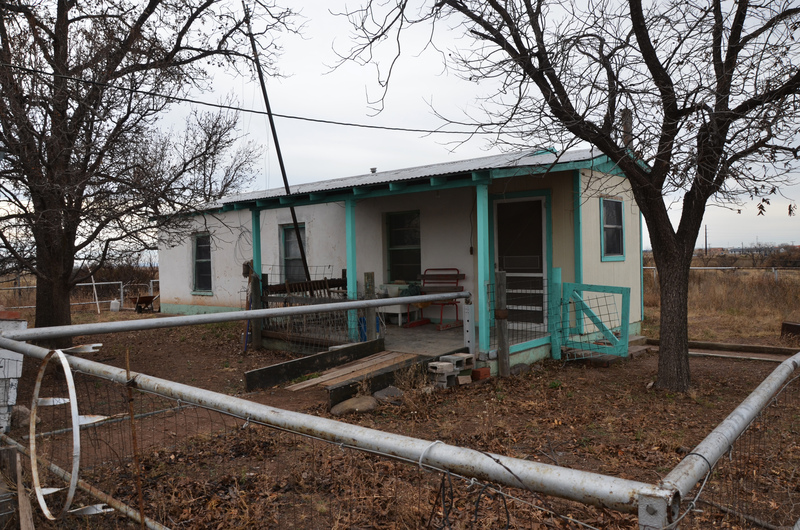 Joy is 91 now, living on her own in an old adobe on the edge of Marfa. It’s nothing fancy, but it suits her needs. When the train isn’t rattling by, it’s extremely quiet inside. “I lay down a lot. And so, you know I’m dressed and everything. And I have to wait for, you know, to go eat,” she says. 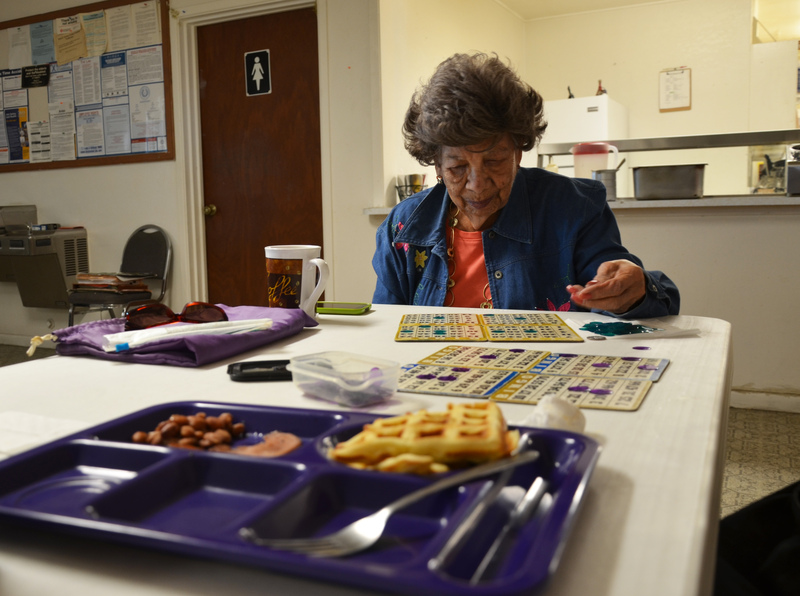 On weekdays, the community bus comes and picks Joy up to eat lunch at the city’s Nutrition Center. 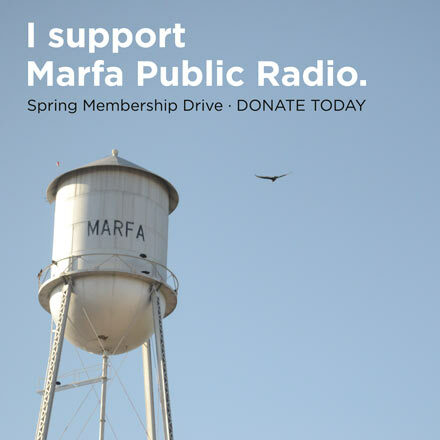 Like many other seniors in Marfa, it’s the best part of her day. She spends a lot of time alone in her house. 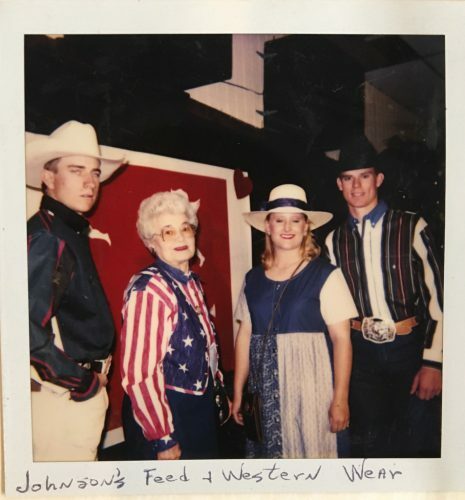 Her son lives in the area, and visits when he can, but he works long hours on a ranch south of town. “He goes to the bank for me, because I can’t see,” she says. Joy is legally blind, but still surprisingly agile as she moves around the house. She has things like her coffee set up memorized. On her kitchen counter is a wooden plaque from the Big Bend Cowboy Hall Of Fame. It says, Joy Elliot Rawls — Top Hand Award, 2008. She’s had to convince Adult Protective Services her mom’s capable of living on her own. Back in 2016, Joy got pneumonia, and sciatica put her in a wheelchair. So she went to live with Amy more than 400 miles east — a move her daughter thought would be permanent. But with regular doctors visits, Joy got better. She was walking again, and she wanted to go back to Marfa. Amy didn’t think it was a good idea, but Joy wouldn’t give up. Eventually, Amy agreed to move her back home. Even knowing that at a certain point, she won’t be able to take care of herself anymore. Joy doesn’t care about that. “I have no fear of dying,” she says. But Adult Protective Services does, and Amy doesn’t want her mom to die an unnecessarily painful death. So eventually, she’ll have to go back to central Texas, to an assisted living facility near Amy. That’s the plan, anyway. “I don’t know if they’ll want me back, but they’re not gonna get me,” says Joy. 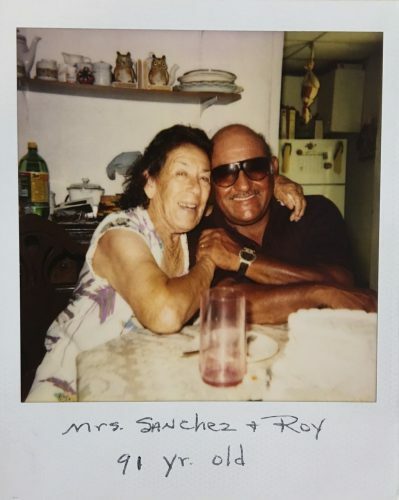 Rosario Halpern, who runs the Big Bend Sentinel with her husband, says that after publishing obituaries for 30 years, it’s clear many elderly people leave the tri-county area at the end of their lives. They leave for different reasons. Some want to be closer to family they can rely on for care. Others need assisted living facilities — and there aren’t any in Brewster, Jeff Davis, or Presidio Counties. A group of doctors in Alpine tried to open a nursing home a few years ago, but they couldn’t raise enough money to get the project off the ground. He’s half-paralyzed and wheelchair bound, in a nursing home in El Paso — close to other family. To Halpern, it seems like there are less healthcare options nowadays for seniors, especially those near the end of their life. “There used to be hospice, but there isn’t anymore. And I think that’s a very needed service,” she says. Hospice is essentially comfort care for people who have 6 months or less to live. 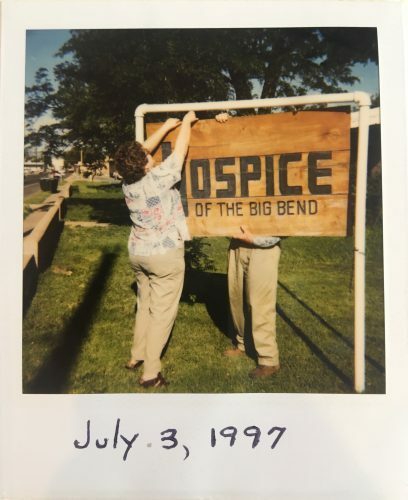 And back in the late 80s and 90s, Alpine’s Hospice of the Big Bend made it more possible for families to care for loved ones at home as they died. Former Executive Director Marvie Burton says it took some effort to get residents comfortable with the idea of hospice care. But eventually, it paid off. “We would have people going out and helping them. Social workers, ministers if they needed it, we had fantastic support from all the communities,” she says. They had volunteers who’d go spend time with patients, and nurses who’d administer pain medication. Burton estimates they cared for three or four hundred people over more than a decade of service in the area. But financially, things were tough. Medicare and Medicaid pay a flat fee for hospice care. Back in Burton’s time, it was about 100 dollars per day per patient (nowadays, in Texas, the rates are about double that amount). That money had to stretch, to cover salaries, medication, travel to patients’ homes, and more. 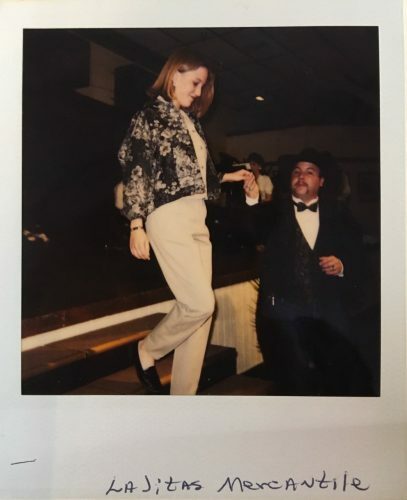 Burton and her crew had to fundraise to fill the gaps — they even had an annual fashion show that usually made them about a thousand dollars. But eventually, they just had to call it. One of the main reasons Burton couldn’t get enough clients was competition with home health agencies. There’s still a couple of them with a presence in the Big Bend region — they staff caregivers and nurses to go check on home-bound patients. Their capabilities are limited, and they don’t specialize in end of life care. But these days, for people like Joy Elliot Rawls, who are trying to stick it out in the region, home health is one of the only options. Joy has a helper who comes to her house 5 days a week to cook and clean. She wears a life alert necklace in case she falls. And she’s having a video baby monitor installed so her daughter, Amy, can look in on her. For Joy, it’s all worth all the fuss. “I’m better here,” she says. Especially on weekdays, when the bus picks her up to go eat lunch with her friends. They close every lunch with 5 rounds of bingo. Joy can’t see the cards, so she doesn’t play. Instead, she sits there in peace, among her friends. 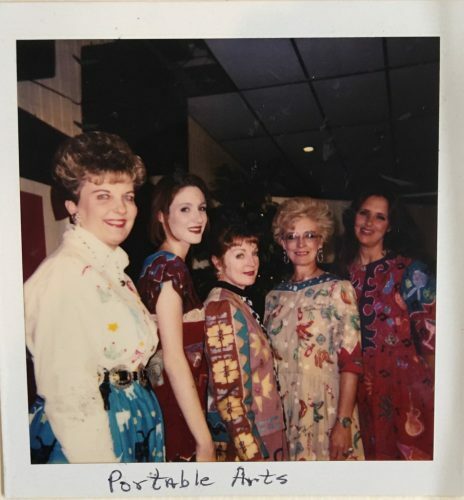 This entry was posted in and tagged hospice of the big bend, joy elliot rawls, marvie burton, rosario halpern, suzanne dungan, West Texas Wonders. Bookmark the permalink.